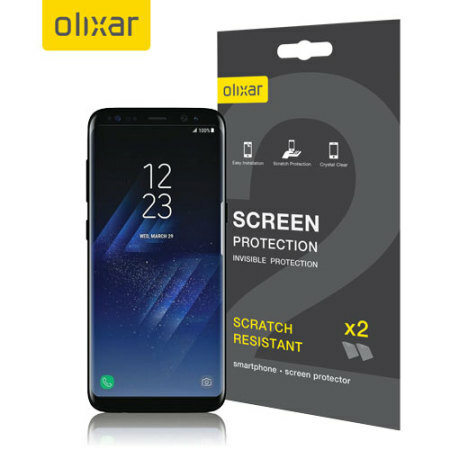 Keep your Samsung Galaxy S8 screen in pristine condition with this Olixar scratch-resistant screen protector 2-in-1 pack. Good product, easy to fit. Very easy to fit and no air bubbles, you would not know there was a screen on. It seemed too thin to be of any use so I threw them away and went to a reliable mobile phone shop for them to supply and fit. I have since swiped the S8 for a S9 and have taken this to the same mobile phone shop for a good screen protector to be supplied and fitted. I found the product to be the poorest fitting version than other Olixar I've used in the past. The edges were constantly lifting in the first few days and so collected dust making the situation worse. It was so bad I didn't bother to fit the second protector and preferred to buy a glass protector instead. First cover there was no peel off strip to allow the cover to be correctly aligned. Second cover 'the simple task of removing the top protective cover' as the instruction video puts it simply doesn't work. The top protective cover doesn't peel off without the whole thing lifting off the screen. In short a total waste of time and money. Great product-even with the curved edge of the s8 it does stay on my screen but the very top corners do come off slightly (and therefore get dusty) but would defintely recommend. Screen lifts at the edges,no way to seal it off. The sides of the screen protector do not stay down on the curved screen so the item is of no use. I appears to be a good product with two protectors. Just as well because it is difficult to align the them on the wraparound screen of the S8. The second attempt was better aligned than the first attempt but the gel case interferes with the top and bottom edges. Sorry. Really want this item to be good but it is not. Within a couple of days the protector wants to lift at the corners and I am constantly pushing back down. I can see soon where it will not stick down and then it is a throe away item. At least the pack has two items and I will get a few more weeks out of it. Honestly. You are better having a screen protector that does not wrap around the curve and only covers the flat face like the one I had on my previous Samsung that has lasted for over two years. Rubbery, sticky and very noticeable. Very poor product, lasted one day and kept coming off the screen when I handled the phone. Very disappointed DO.NOT.BUY. This product was a waste of time. It is not case friendly. I applied this to the back of my phone and was surprised at how it didn't even look like anything was on it. I even tried scratching it with a knife and got nothing! Luckily I got it right on the first try. Wanted a screen protector that would cover the S8 curved screen and also allow for a rigid rear case. This does both, but ensure you apply it firmly and allow 24 hours for adhesion to set before fitting rear case to stop film being pushed off. 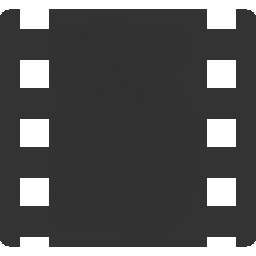 I was always concerned how successful it would be to apply a screen protector to a curved screen, but these are really flexible and when I first applied it, bubble free and fully on, I was really pleased and the film was almost invisible to the naked eye. As advised, I watched the installation video via the QR code on the pack. Great video and very informative! Fitted the protector exactly as per instruction however, at the final stage of peeling (tab 2) mask off , the protector wouldn't seperate! Doh! It then allowed lots of air bubbles to get underneath. I can only assume this was a faulty protector as when I fitted the other one that came in the pack, it fitted exactly as described. A lovely fit....apart from the edges! Overall a very average screen protector! Before fitting this screen watch the video. I am so pleased there were two protection screens as the first one was so heavily stuck it had to be destroyed. The second screen went on ever so easy. The screen protectors come with individual wipes/ cloths etc. Instructions are easy to follow via the link to the website. Overall pleased with them although the protective phone case I bought just clashes with the edges and causes them to peel back. Not the fault of the protectors though, I changed the cover and have had no further problems. Fantastic preparation kit for easy and clean application.. Unfortunately protect does not work well with the S8 curved screen resolting in protective film peeling away on the side of the screen. I love this screen protector it works great with my otter box and my clear view case. As usual the service and product quality cannot be faulted. My only issue with these protectors is the turn up at the edge. I bought the Olixar ultra thin case to use with these screen protectors. And apart from the first one not coming apart properly and having to use the second one it come off at the top edges. Maybe with other cases it would work better but not with that one. Now will have to look for another kind of protector and maybe case. Kind of a waste of money. Relatively easy to apply and doesn't seem to effect touch sensitivity. Only down size is that I keep accidentally leaving nail marks in it! The product very good. Came all with the instructions. Easy to install the only problem that when installing the cover rises in the edges. This is the easiest screen protector to apply I have bought. Because the phone has curved screens it is very hard go find a compatible case. As a result the corners and edge of the screen protector come up. I have trimmed the edges to try and help. Still comes up. Wouldn't buy again. We do have 'case compatible' glass screen protectors for the Samsung Galaxy S8 (ID 63316). Hope this helps. great service fast shiping and excelent product. The Olixar screen protectors are a little hit and miss, they are nice and easy to put on and (I recommend that you watch the application video on you tube for that) and the touch sensitivity is good but as always it depends on the case as to whether they stay on or not. I bought 2 1 for my S8 and 1 for my S7 edge. The S7 edge worked fine with my spigen case but the S8 which is in a rinke case did not, the case pushed it out. They are good screen protectors as long as you have a case that works with them. This screen protector is the worse I ever purchased, it was waste of money and I trusted other buyers reviews.